On Thursday, 8th of Dec at 10 am CET (4 am EST) begins the Doomlord Christmas celebration! During the event, you can find unopened gift packs during hunt, duel and challenge. By clicking on them, you can send these to other players, who can open them to get various gifts. 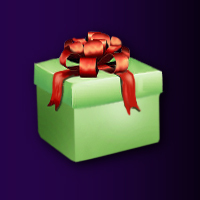 Present an unopened gift pack to 5 players! Attack 8 opponents in clan war! Spent at least 2 ancient stones (except for mini-event package)! Get level * 6 XP during duels in a day! Win 3 challenges in a day! Deal critical hit 30 times in duels you initiate! Gather 1 burnt-out ancient stone during hunt! Hunt 25 times in a day! Have your minion gain a level! Use 2 relic coupons to make one or more relics! Increase skill 5 times using soul-energy! In addition, if you have remaining emblems from the previous event, now you can exchange them for minion crystal if you don't want to wait until next Fall to use them. Rewards can be claimed until 3rd of Jan! ancient temple wand. relic. level: 1. After activating, the number of royal decrees you can use in the Temple of Doom will reset. *pit wand is a new item. It will be able to reset the Pit of Damnation. Pit of Damnation will be a monthly, repeatable version of Pit of Doom, much like Temple of Doom. It will have 10 levels, and you have to complete it until the end of the month, because it resets the next month. With this wand, you can do an extra Pit in a month. The opportunity is alive from 15th of Dec (GMT+1 time, check the time on the bottom of the page). If you use an instant payment (bank card, paypal, onebip) you will have the option to give the present immediately. For delayed payment methods (bank transfer) you get the option when the money arrives. 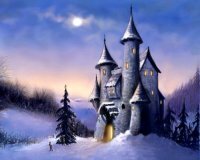 The bank transfer have to arrive between 15th and 22th of December to be eligible to give a present. 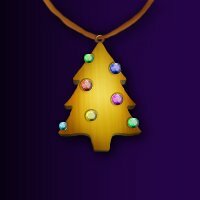 Between 15th and 22th of Dec, we have a big Christmas sale: the soul-huckster gives 20% discount on the ancient stone price of all his merchandise (only items sold under "soul-huckster")! The same applies to the special daily offers during this time. We will have some special items for this sale at the huckster just during this period. misc. items: potion of happiness, enchanted pet food, monster cocktail, locked chest, hunter's loot, lesser hunter's loot, berserker potion, minion crystal packs, mytokronit packs, giuft packs. i'm really enjoying sending/receiving unopened gift packs with this event, thank you! I agree with Manu . Also want to add - only as remark for premium players - among special items at sale is also Minion crystal pack / limited to 3 times daily /. And do not forget about Eye of Beholder roulette available under Soul-huckster for those who wanted try your luck. I updated the first post with the current event schedule. The 2nd and 3rd post applies to previous year, but will update that as well when those events come. I updated the 2nd and 3rd post as well, the sale and other events begin tomorrow! One Ancient Stone promotion in the end of November and one in December? Personally i feel that is a bit too often.